the Oakland education non-profit LitLab. Apparently, it’s what political couples do for romance. Last Valentine’s Day, Assemblymember Rob Bonta posted a photo on his Facebook page taken at the Alameda County Registrar of Voters office. However, it wasn’t Rob Bonta who was filing to run for office that day, but his wife, Mialisa Bonta. Mialisa Bonta, who founded an Oakland education non-profit, is running this November for one of two open seats on the Alameda school board. Rob Bonta, hoping for a fourth term in the Assembly, is running in the top two June primary. If all goes well, the couple will appear together on the Nov. 6 ballot. In an interview, Mialisa Bonta said she has contemplated running for the school board since moving to Alameda 18 years ago. She is also running to honor her friend and former Alameda school board member Solana Henneberry, who passed away while in office last year. Innovating the classroom, government transparency and raising teachers pay are some of her early campaign platforms, she said. Alameda teachers are the lowest paid in the county. In 2014, Mialisa Bonta founded LitLab, a non-profit that helps under served children of color and their families use technology to access early learning programs. Before that she served as executive director of Bring Me A Book. 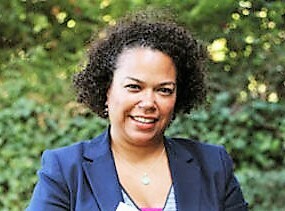 Her interest in the school board seat has been know since late last year, and was included in the East Bay Citizen Candidates List for months, before pulling papers last month. Alameda school board trustee Gary Lym is slated for re-election this November and appointed trustee Anne McKereghan is seeking election to the seat. The upstart Bonta, however, will likely have the support of Alameda’s traditional centers of political power, namely the Alameda Firefighters union and progressive groups, who have also strongly supported her husband’s previous campaigns. If fundraising is a problem for Mialisa Bonta, Rob Bonta told the East Bay Citizen that he would have no problem transferring funds from the roughly $1.6 million currently in his own assembly coffers to aid his wife’s own campaign. Such an expenditure was made infamous in 2010 when former state Treasurer Bill Lockyer spent nearly $3 million to help is wife, Nadia Lockyer, get elected Alameda County supervisor. Posted in 2018 election, Alameda, Alameda School Board, Anne McKereghan, Assembly, Bill Lockyer, campaign finance, education, Gary Lym, Mialisa Bonta, Oakland, Rob Bonta. Bookmark the permalink.